Pleora Technologies will be showcasing how its Nbase-T embedded video interface brings new bandwidth advantages to imaging system design. 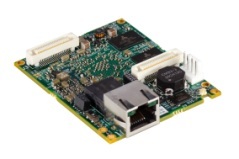 The iPort NTx-NBT embedded video interface provides a cost-effective upgrade path for imaging device designers by supporting faster 5Gb/s transfer of GigE Vision-compliant images over existing Cat5e cabling. While competing approaches require specialised cabling and expensive networking components, the iPort NTx-NBT is a natural evolution for high-performance imaging thanks to its bandwidth flexibility, low-cost field-terminated cabling, multicasting support, and compatibility with existing GigE Vision software.